It is a lovely place to spend your holidays with your loved ones or your family. It is a perfect place to stay with your family, group of friends or even your loved ones during you romantic holidays. It gives you the utmost comfort and an amazing stay in a beautiful atmosphere with a cool breeze to relax you mind and your soul. You can actually refresh yourself and even your relations by spending some quality moments with your loved ones. You can recharge your soul and your life once again during your stay at hotel Kingfisher. It is one of the finest boutique hotels in Udaipur. 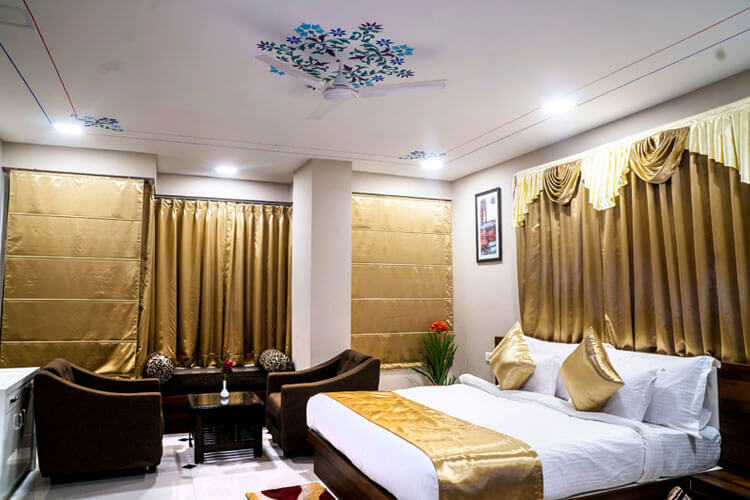 Hotel Kingfisher Udaipur fulfills all the desires of their guests and helps them to have amazing holidays which they can remember for life time. They make their guest’s every expectation true. If you are planning a trip with your family you can also enjoy some quality time at Udaipur’s most famous Marvel water park. Hotel Kingfisher Udaipur is situated very nearby Marvel Water Park. So, you can even spend a day there and rest of your days visiting Udaipur’s other famous attractions. They have a wide array of accommodation options available in budget of each and every guest. 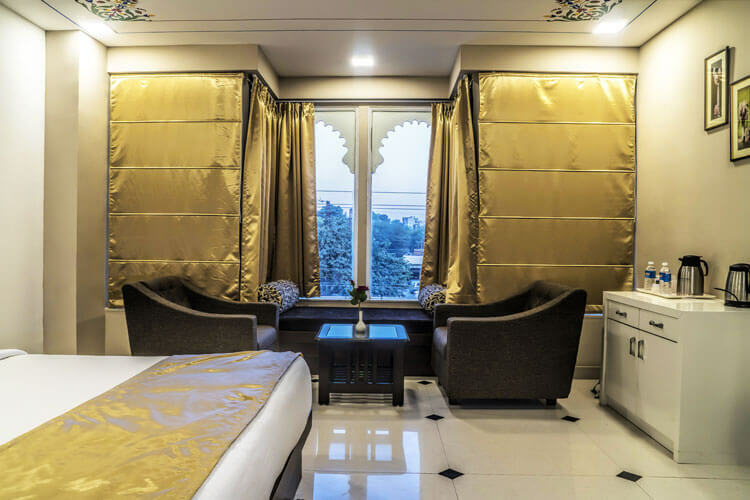 They provide the best accommodation options in very affordable rate compared to any other hotels in Udaipur. So you can plan your holidays in Udaipur without worrying of budget option and have a relaxing and memorable holidays. They also have a banquet hall which is available for formal and in formal gatherings. It can be used for parties, family functions, weddings, or any corporate functions and business meetings. They provide all the necessary facilities needed for the functions. That’s why it is also in the category of best business hotels in Udaipur. They even provide catering from their very famous restaurant “Donachie”. It is the most popular restaurant in Udaipur. People even pre book it for lunch and dinner. The food available here is very tasty and mouth watering. The quality and quantity of the food both satisfy the guests. They have all types of cuisines available in their menu like Punjabi, Chinese, continental, fast food, desserts, drinks, and last but not the least the very famous local delicacies of their own royal Rajasthan.